The other day I was looking for a certain Higo-tsuba in my references and so to speak “rediscovered” a work of the 5th Hayashi generation Matahei that is owned by a friend of mine (see picture 1) and that raises some questions. Not the work itself (its papered and published by the way) but the artist, the fifth generation Hayashi, who changed his craftsman name at least four times and who bore the honorary title Iga no Kami (伊賀守). So each of these points in question is not necessarily special by itself but coming together in the very case of this artist is what raises these questions. To tell you right away, I don’t have definite answers but I think that in this case the truth is somewhere to be found in the historical context. So let me first explain what caught my attention and then elaborate on the artist’s historical context. We are talking about Hayashi Matahei (林又平), the 5th generation of the renowned lineage if tsuba artists, who used as a craftsman the names Katsuie (勝家), Shigehisa (重久), Shigeyuki (重之), and probably also Minamoto Yasuyuki (源保之). Katsuie was his early mei and we learn this from a tsuba which is signed: “Hayashi godaime Katsuie jûnana ni te kore o saku – Tenmei rokunen nigatsu gejun kore o shiageru” (林五代目勝家十七ニ而作之・天明六年二月下旬仕上之, “made by Katsuie, the fifth generation of the Hayashi family, at the age of 17, finished in the last third of the second month Tenmei six ”). Then there exists a tsuba dated with the third day of the tenth month Kansei one (寛政, 1789) which is signed “Shigehisa,” so Shigehisa was the name he used next, followed by “Shigeyuki” (重之) which we find on tsuba with date signatures from the Bunka era (文化, 1804-1818). As for the name “Minamoto (no) Yasuyuki” (源保之), there is to my knowledge no work extant that is actually signed that way and all sources are unanimously hesitant, saying that “it is said that he also used the name Minamoto (no) Yasuyuki.” By the way, Itô suggests that Matahei signed with two more names, Shigeharu (重春) and Shigefusa (重房), the latter probably as a daimei for his father. As indicated, numerous name changes were quite common for Japanese tsuba and kinkô artists and and was mostly linked to an important even in the artist’s life, for example finishing an apprenticeship, entering another master-student relationship, succeeding as head of a family and so on. So what was going on in Matahei’s life? He was born in Meiwa seven (明和, 1770) to the then 26 years old fourth Hayashi generation Heizô (平蔵), craftsman name Shigetsugu (重次). Heizô died in Tenmei four (1784) at the young age of 41 (according to the Japanese way of counting years). Matahei was only 14 years old at that time and his grandfather Tôhachi (藤八, 1723-1791), the third Hayashi generation, was still alive and only 60. Tôhachi was a great and much sought after artist and is equaled in certain aspects with the famous Hayashi founder Matashichi (又七, 1613-1699). As Tôhachi was still alive when his son Heizô died and as Heizô is counted as fourth head of the school, we can confirm that the former had retired for some reason, i.e. the succession of Heizô was not initiated by Tôhachi’s death. Maybe he became ill at that time and maybe his son turned out to be sickly because we know that their employer, the Hosokawa family, ordered in An’ei seven (安永, 1778) Tôhachi to accept the then 24 years old Kamiyoshi Juhei (神吉寿平, 1754-1820) as a student and that he should be initiated into all family secrets of the Hayashi. Incidentally, Heizô was ten years older than Juhei but Itô quotes Juhei’s year of birth from the Higo Kinkô Roku as being Meiwa three (明和, 1766) which would mean that he entered his Hayashi apprenticeship at the age of twelve. Either way, Heizô died only six years after Juhei had started to train with his father what supports the suspicion that he was ill. Please note that I am using the Western way of counting years here and from now on, i.e. all these ages might differ by one when referring to Japanese sources. In short, the Hosokawa saw their cherished Hayashi family of tsuba makers in danger of discontinuation and intervened by arranging that Juhei from the Kamiyoshi family of tsuba makers should be groomed for being the successor, not of the lineage but of its art. Now back to Matahei. So after the early death of his father, he found himself training under his grandfather and with the decision being made that his fellow student Kamiyoshi Juhei will take over the family’s main or higher end production line. As mentioned above, he was either 16 or four years younger than his direct competitor. We know from historic records that Kamiyoshi Juhei received in Tenmei six (1786) a stipend for the support of three persons what suggests that he had already finished his apprenticeship with Hayashi Tôhachi at that time. Matahei had inherited the salary of the Hayashi family, which was 15 koku plus a stipend for the support of five persons. 1786 is also the year Matahei made the above mentioned tsuba that is signed with Katsuie and at the latest three years later, he changed his name to Shigehisa. So my assumption for the time being is that, a.) Matahei signed for a couple of years with Katsuie, b.) 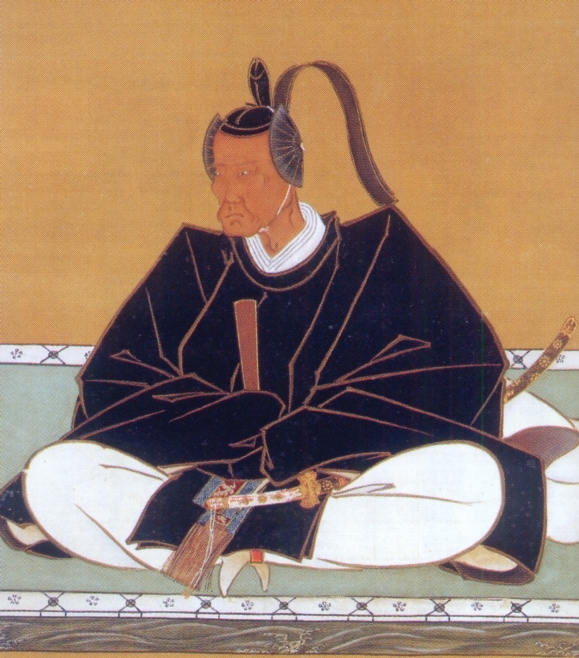 that it was in Tenmei six (1786) when grandfather Tôhachi finally retired, making Kamiyoshi Juhei and independent artist (receiving the stipend) and c.), making Matahei, finally at age, the head of the family whereupon he shortly later changed his name to Shigehisa, eventually adopting the character for Shige that was used on a hereditary basis for the craftsman names of the Hayashi masters. But then something happened. He received the honorary title of Iga no Kami, changed his name again, from Shigehisa to Shigeyuki (in my opinion most likely in connection with that honor), and switched on top of that to another counting of generations what is another piece in that puzzle. As seen above, he signed his early works straightforward as him being the fifth generation after the grandmaster Matashichi. But then all of a sudden he started to sign with “tenth generation” (there are several tsuba signed that way extant, for example the one of my friend shown above dated 1815 and another one dated 1807). Itô is not sure about that counting and assumes that he started from the ancestor of the family, the late Muromachi and Momoyama era gunsmith Hayashi Kazue (林数枝), but that he must have included some other Hayashi masters because even when we start counting with Kazue, Matahei would be the eighth head. So not sure how he arrived at him being the tenth generation. And what about his honorary title? Provincial governors’ titles like no Kami, no Suke, and no Daijô were in general rare for tsuba and kinkô artist. This means, when we deduct honorary title-bearing swordsmiths who also made tsuba, the renowned Myôchin lineage of armorers, and the Yoshioka Inaba no Suke School, only a little more than a handful of artists remain who had this honor, most famous example the Kyôto kinkô master Ichinomiya Nagatsune (一宮長常, 1721-1787) who bore the titles of Echizen no Daijô and Echizen no Kami. In other words, granting the title of (Iga) no Kami to a tsuba maker was not only rare, it was very very rare. As mentioned, Matahei’s tsuba signed that way date concentrate on the Bunka era, i.e. on the time from his mid 30s to his mid 40s. From his late 20s to his early to mid 30s he had used the name Shigehisa, so a lot was going on back then. He died in the eleventh month of Bunsei six (1823) at the age of 54 by the way, only eight years after he made the shown bamboo sukashi-tsuba dated 1815. My preliminary theory is that by the Bunka era, the Hosokawa realized that Matahei turned out to be an apt successor of the Hayashi School of tsuba makers and maybe, whilst leaving the higher end of the Hayashi-tsuba production line with the Kamiyoshi family, they somehow tried to push him or bring him again into the focus by having arranged that he receives a high honorary title such as Iga no Kami. Or maybe this honorary title was kind of a compensation for acklowledging that he was a worthy successor of the Hayashi lineage but leaving everything as it was, i.e. the Hayashi tradition at the disposal of the Kamiyoshi family? This is in my opinion supported by the fact that the Kamiyoshi family started to flourish greatly after Juhei whilst Matahei’s Hayashi successors were rather “also ran” (by the way, Matahei’s successor Matahachi [又八] died in 1840 and his successor Tôshichi [藤七] in 1874 and I haven’t seen any works of them; so if someone has pictures of their works, they would be greatly welcomed). As indicated at the very beginning, I want to present some more of the historical context, so to speak as a starting point and reference for those who take it from here and find out more about the life of Hayashi Matahei. It was sixth Kumamoto daimô and seventh Higo Hosokawa head Shigetaka (細川重賢, 1721-1785) who had it arranged that Juhei should inherit the secrets of the Hayashi family. Incidentally, the Kamiyoshi had been serving the Hosokawa since the early Edo period but we don’t know what profession the early generations had. Itô suggests that as they are listed amongst gunsmiths and swordsmiths, they must had been involved in the arms and armor production and Fukushi states that they were armorers or made the metal ornaments of armors. It was not until Juhei that tsuba making came into play. He namely learned the craft of tsuba making from Zenshichi (善七) who was from the Tôyama lineage of tsuba artists, Juhei’s cousin (his father had married Juhei’s aunt), and a student of the second generation Nishigaki Kanshirô. Hosokawa Shigetaka was a great man who passed one of the few successful Edo period financial reforms at local fief level. He also established a fief school, the Jishûkan (時習館), and a medical school, the Saishunkan (再春館). Well, his financial reform was critizised because being so radical but of course they were radical, they had to be, and they eventually worked by the early 1760s when the financial status of the Kumamoto fief had greatly improved in comparison to what he had inherited from his predecessor Munetaka (細川宗孝, 1716-1747). The man who must had arranged Hayashi Matahei’s honorary title Iga no Kami was Shigekata’s adopted grandson Narishige (細川斉茲, 1755-1835). Narishige was adopted by Shigekata’s son Harutoshi (細川治年, 1758-1787) who ruled the Kumamoto fief for merely two years. Well, Harutoshi did not have an easy job. Natural disasters struck Higo province just the year after his father had died and the resulting exploding rice prices caused an uprising. He was just in his 20s and died young, aged 30, making his adopted brother-in-law Narishige age 33 lord of Kumamoto. Well, Narishige’s 1792 silver price changes and financial reform were a failure and even caused a riot in 1802 and the burning down of the Edo Hosokawa mansion left another big hole in the fief’s pocket. Not directly related to the case of Matahei, I still want to talk a little bit about the subsequent financial situation of the Kumamoto fief as it might serve as a reference for the one or other. So when Narishige retired in 1810, the fief was taken over by his third son Naritatsu (細川斉樹, 1797-1826), well, taken over merely on the paper as he was only 13/14 years old at that time. Now Naritatsu was able to save 100,000 koku but he too died young, aged 30. He was succeeded by his adopted son Narimori (細川斉護, 1804-1860) who was acually his nephew. It is recorded that at his time, the Kumamoto fief had amassed a debt of 800,000 koku and was on the edge of bankruptcy. The situation even worsened when the bakufu insisted on obilgatory duties of providing defense for Amakusa and Sagami Bay againt the US and British ships. This almost split Kumamoto into two factions and as his successor Yoshikuni (細川韶邦, 1835-1876) was critizised as being half-hearted and passive, Kumamoto would have probably faced its end, as many other fiefs at that time, if it was not for Emperor Meiji to end the feudal system. Incidentally, Yoshikuni was briefly succeeded, as governor of Kumamoto, by his adopted heir Morihisa (細川護久, 1839-1893), who was by the way the son of Narimori. And Marquis Hoskokawa Moritatsu (細川護立, 1883-1970), the first president of the NBTHK, was the fourth son of Morihisa. Last but not least, the famous Eisei Bunko Museum, the museum that preserves so many of the famous and important art objects passed down in the Hosokawa family, was founded by Moritatsu and turned into a public museum by his son, titular Marquis Morisada (細川護貞, 1912-2005), Executive Secretary to the Prime Minister. His son Morihiro (細川護煕, 1938- ) was Prime Minister of Japan and is present-day board chairman of the Eisei Bunko Museum.